Businesses are being urged to treat standard form consumer contracts with care, as new unfair contract terms (UCT) laws take effect this month – with no grace period. The Commerce Commission has released its final guidelines about its approach to enforcing new UCT provisions under the Fair Trading Act, as amended in 2013. The Act stipulated a court may deem a contractual term unfair if it causes significant imbalance in the parties’ rights and obligations, it is not reasonably necessary to protect the interests of the advantaged party, and it would be detrimental to a party if applied, enforced or relied on. The guidelines are intended to help businesses comply with the law, Commerce Commission chairman Dr Mark Berry said. While the guidelines themselves aren’t legally binding, the Commission’s intent in publishing them is to ensure businesses understand the new UCT provisions and are able to make the necessary changes to their contracts to ensure they won’t be potentially in breach of the law come 17 March, a Commerce Commission spokesperson said. “For law firms, the guidelines provide a useful reference point when it comes to understanding our approach and what industries we are particularly concerned about,” he said. While the guidelines are useful, there are still a number of aspects of the new law that businesses need to be aware of, Bell Gully senior associate Laura Littlewood said. One in particular was the fact the unfair terms provisions applied to business contracts, and could not be contracted out of - unlike in the Consumer Guarantees Act. 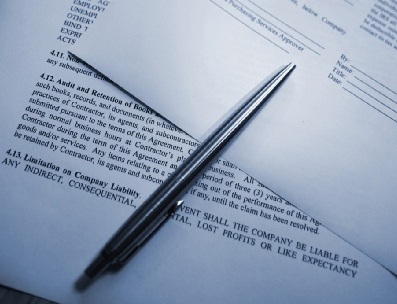 Littlewood urged businesses to update their standard form consumer and business contracts. Other new legislation which needs to be taken into account, particularly for lenders and businesses involved in financial products and services, was the Credit Contracts and Consumer Finance Act and the Responsible Lending Code. Lenders were one of the types of businesses which the Commission would initially focus on, Dr Berry said. Lower-tier finance providers are of particular concern to the Commission as their customer base includes a large number of vulnerable consumers who often aren’t fully aware of what they have signed up to, a Commerce Commission spokesperson added. “We will be proactively checking a range of contracts in this industry as a priority when the new law takes effect,” he said. The types of terms that concern the Commission include those that have the effect of limiting competition, such as automatic ‘rollover’ or renewal terms or ones that lock consumers into contracts they wish to exit, preventing them from switching to a competitor, Dr Berry said. Consumers also need to understand the new provisions only apply to contracts signed after 16 March, he said.